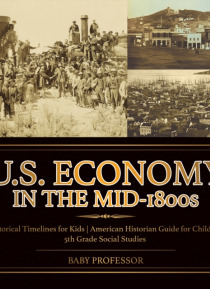 Why should your fifth grader care about the US economy in the mid-1800s? Let's just say that the information will reveal the way of life of the people and how different it was from today. It will also help kids appreciate the advantages of living today. Raise kids who are conscious of the nation's past. Add this book to their learning collections today.